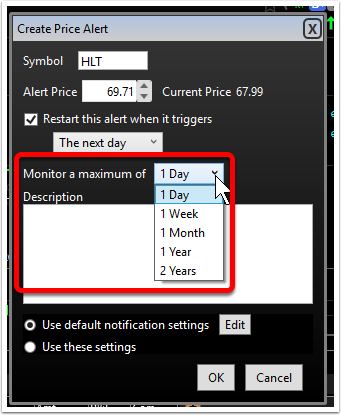 Here are the steps for setting up a price alert. 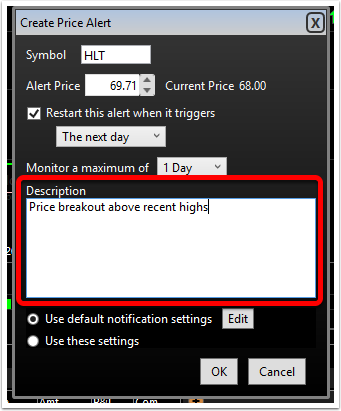 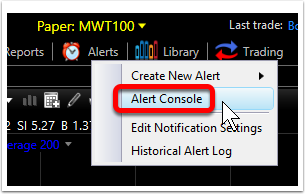 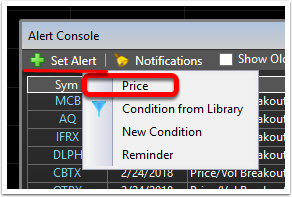 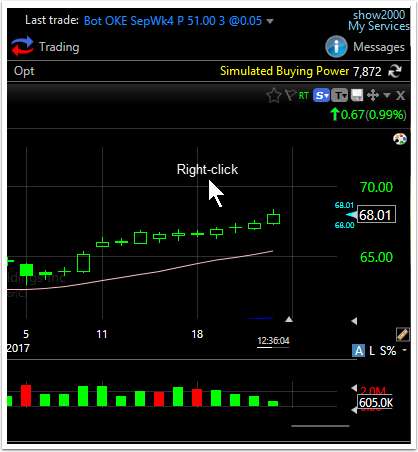 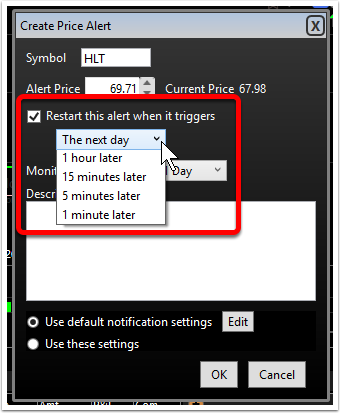 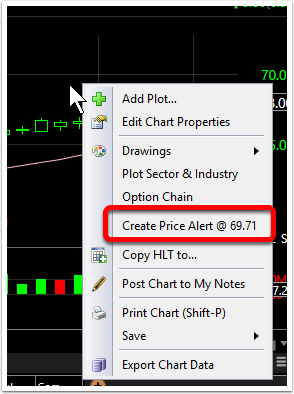 Right-click on the chart at the price level for the desired alert. 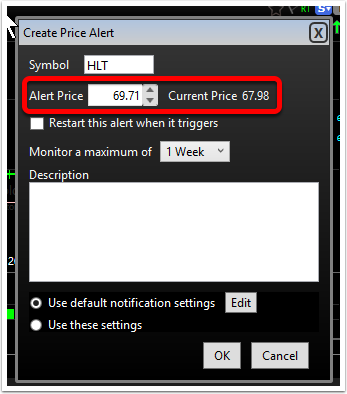 Click OK to set price alert.